Plot: When two men run from a murder, they disguise themselves as women, only to find themselves in more trouble when the both fall for the same girl, who only knows them as women. Despite being on so many "funniest films of all time" lists, I didn't find this film laugh out loud funny. It's more of an enjoyable romp that derives its humor from the energy and camraderie of Curtis & Lemmon. Great final line, though. 'Some Like It Hot's' efficacious implementation of bafflingly intricate and frenetically timed logistics should instill such a cathartic laughter in a viewer that the cumbrances of their ordinary lives should be immediately forgotten. If they do not, however, it may then be reasonably surmised that that viewer's sense of humour is almost as ordinary as their humdrum existences. Cross-dressing. A story point used in many comedies through previous decades, but in the case of this movie it was a first (correct me if I'm wrong). This premise was much more fresh, and much more funny, at the time. 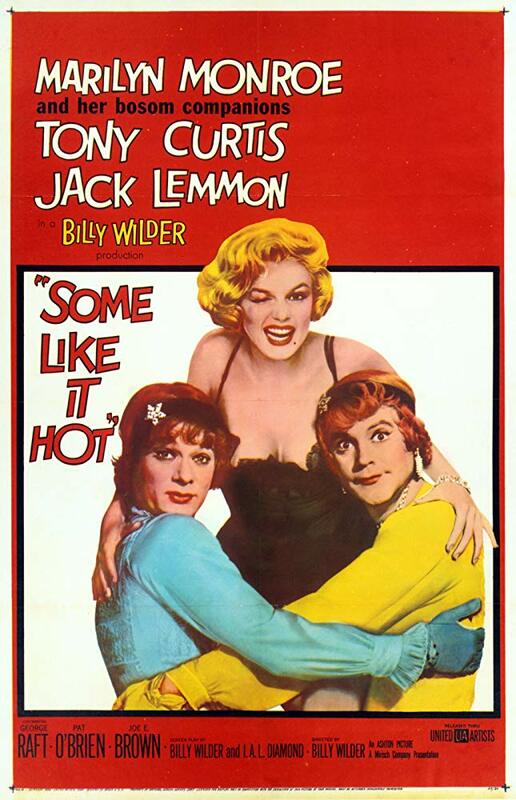 'Some Like it Hot' has held up over the years as a hilarious outing. 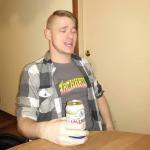 It has the perfect mix of physical humor, wacky shenanigans, one-liners, and innuendos. The mixing of sexes through appearance isn't played for cheap or vulgar laughs. The risque elements are handled maturely and don't go past PG level, yet they are still adult in content. BIlly Wilder writes characters and situations that smartly send up each genders perception of the other through silly mishaps. Fun, upbeat, and full of a variety of laughs. An enjoyment worth repeat viewings. Joe and Jerry (Tony Curtis and Jack Lemmon) accidentally witnessed the 1929 Saint Valentine's Day massacre, was spotted by "Spats" Columbo (George Raft). Both men dress as ladies and joined an all-female band. Joe falls for "Sugar Kane" (Marilyn Monroe) while an old millionaire named Osgood Fielding III (Joe E. Brown) enjoys the company of Daphne (who is Jerry). Wonderful set locations, costumes, screenplay and cinematography. The multi-character portrayals of Tony Curtis and Jack Lemmon were effective and believable. Themes of friendship, trust, deceit and integrity were well displayed. In the words of Osgood Fielding III - "Well, nobody's perfect." In my opinion, Some Like it Hot is a rare comedy that is picture perfect from the plot, wardrobe, to directing and the acting. No posts have been made on this movie yet. Be the first to start talking about Some Like It Hot!